Exactly one week after its first long-haul flight landed at New York’s JFK airport, Air Italy’s second long-haul flight began service from the airport’s main hub in Milan, Italy to Miami, Florida. 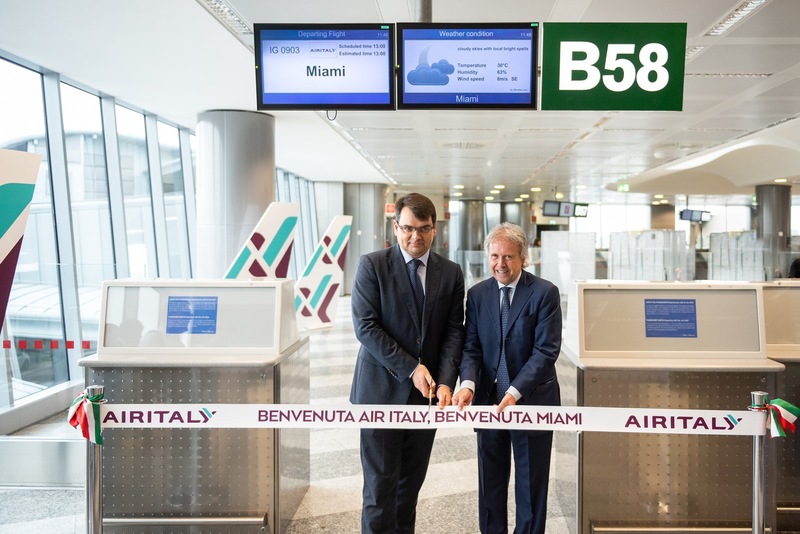 Flight IG903 departed Milan’s Malpensa Airport for Miami International Airport in South Florida around 1:30 p.m. and flew for just over 10 hours before landing in Miami, the Italian airline’s second long-haul destination since the rebranding as Air Italy. 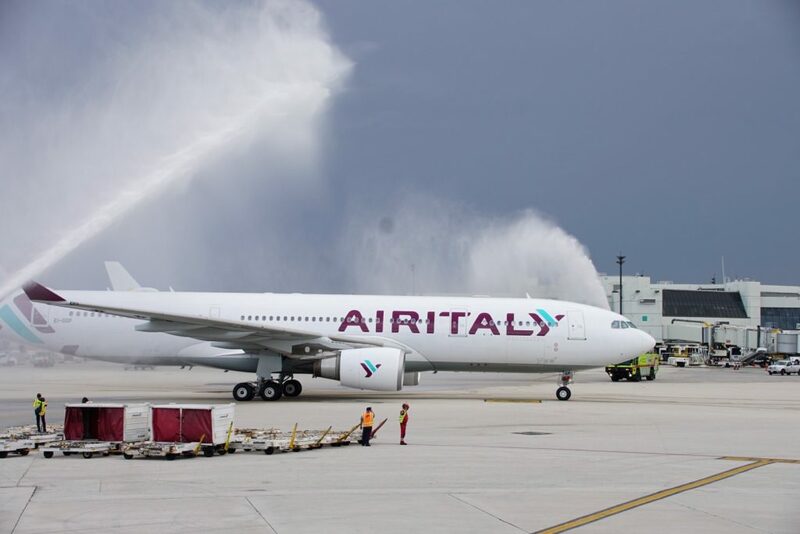 Before departure, Air Italy held a small ceremony, comparable to the one the airline held last week at JFK, with festivities and goodies for passengers, such as a ceremonial cake, as well as a water cannon send off. Landing at Miami International in the early evening, the flight was greeted with the traditional water cannon salute to welcome the new airline to the airport for the first time. 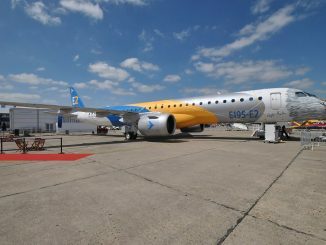 The return flight, IG904, departed Miami for the overnight flight to Italy just after 8 p.m., less than 3 hours after the inbound arrived. 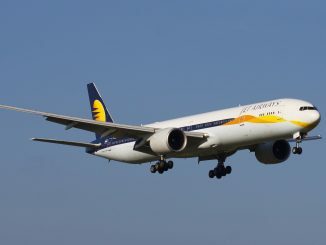 At the time of writing, the flight was airborne and scheduled for an on-time arrival in Milan on Saturday morning. 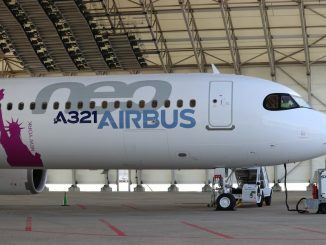 The first flight was operated by the airline’s second Airbus A330-200 aircraft leased from Qatar Airways, which holds a 49 percent stake in the new airline that is seeking to unseat Alitalia as Italy’s national carrier, with the registration EI-GGP. 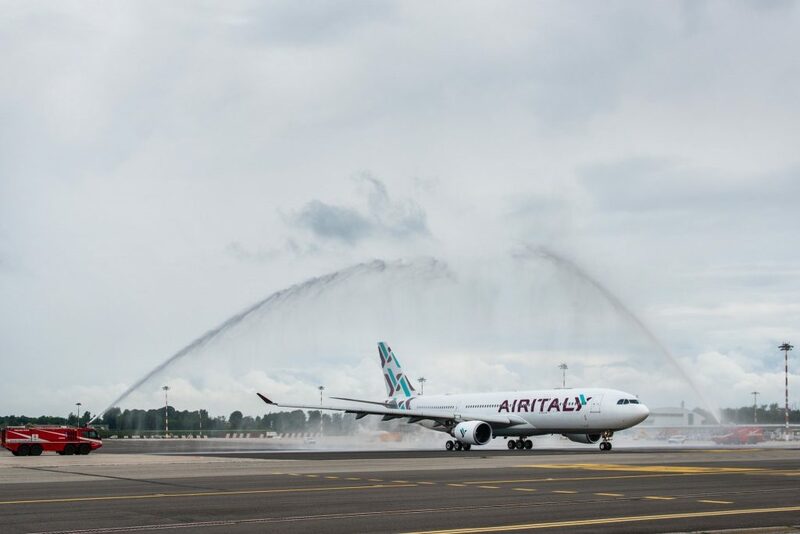 After flying test flights around Northern Italy, this is the aircraft’s first revenue flight for Air Italy. 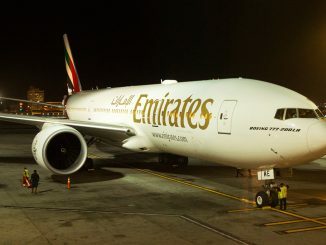 Air Italy will undoubtedly have a better chance to shine on this route due to a lack of competition whereas Air Italy’s Milan to New York route competes with four other airlines, including Emirates’ Airbus A380 service, the airline will only be competing with one airline on the Miami route, American Airlines. 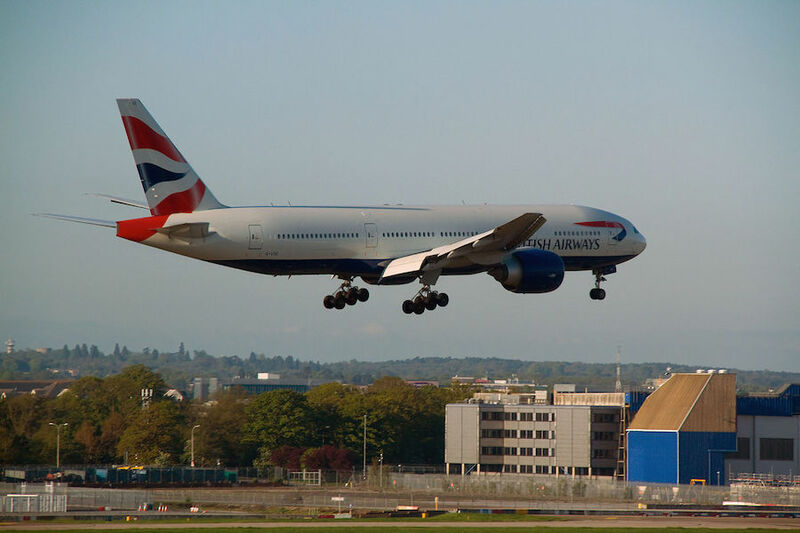 However, there are two key differences in the services each airline provides in schedule and amenities. 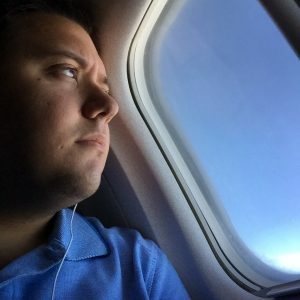 Air Italy’s flight is a seasonal flight that operates until Oct. 26 and on a four times per week basis on Sunday, Monday, Wednesday and Fridays. 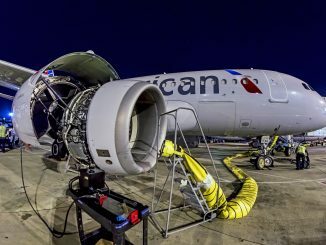 American Airlines’ service to Milan is daily and year-round. 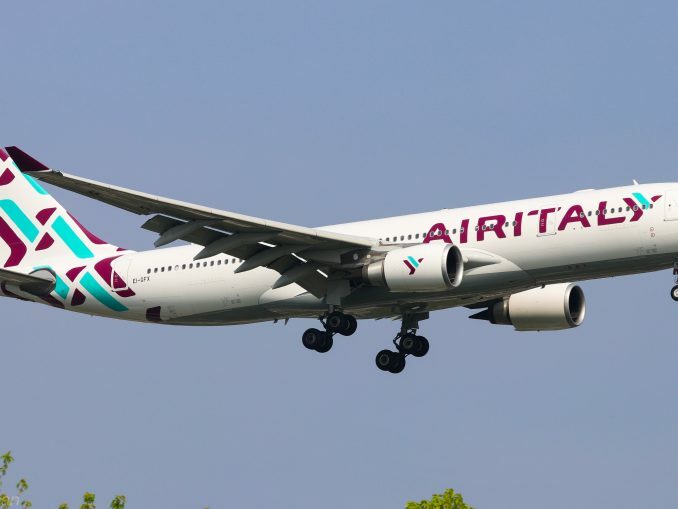 Air Italy, on the other hand, is using its new Airbus A330-200s that have been retrofitted with modern in-flight entertainment systems, while American is using its aging Boeing 767-300ERs. 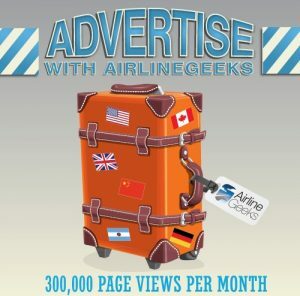 What Air Italy can offer that American cannot, however, is the use of the airline’s connection hub at Milan Malpensa Airport to fly to other destinations in Italy, including the islands of Sardinia and Sicily, on the same airline. 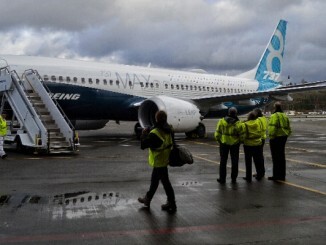 With its fleet of Boeing 737NG and MAX aircraft, Air Italy has stated that its primary goal for Milan is to make it a connecting point for cities elsewhere in the country. 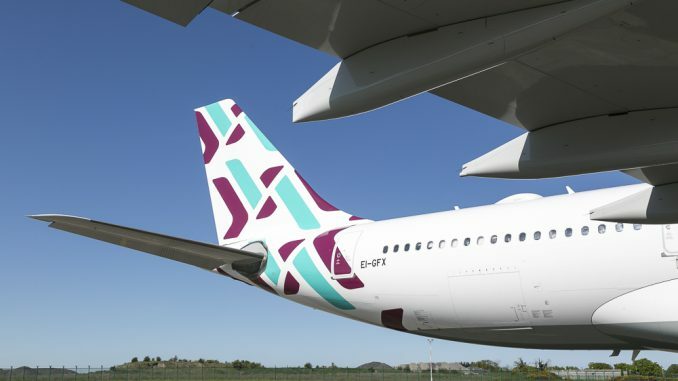 As for its long-haul expansion, Air Italy has the summer to perfect its current transatlantic long-haul offerings before it begins flying in the opposite direction to Bangkok and Mumbai in Asia in September and October, respectively. 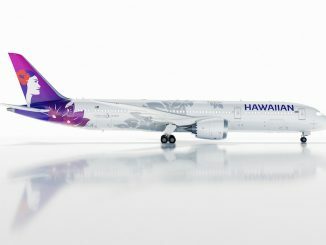 In addition, the airline also plans to put its new Airbus A330s an existing long-haul route, Milan to Havana, in September.